I didn’t think it was possible to be offended by a bread plate, but Terroni proved me wrong. 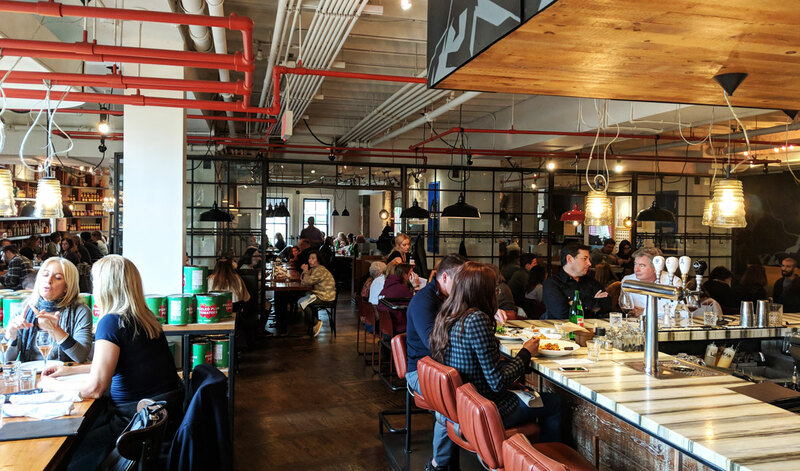 The bread plate at Terroni costs six dollars. 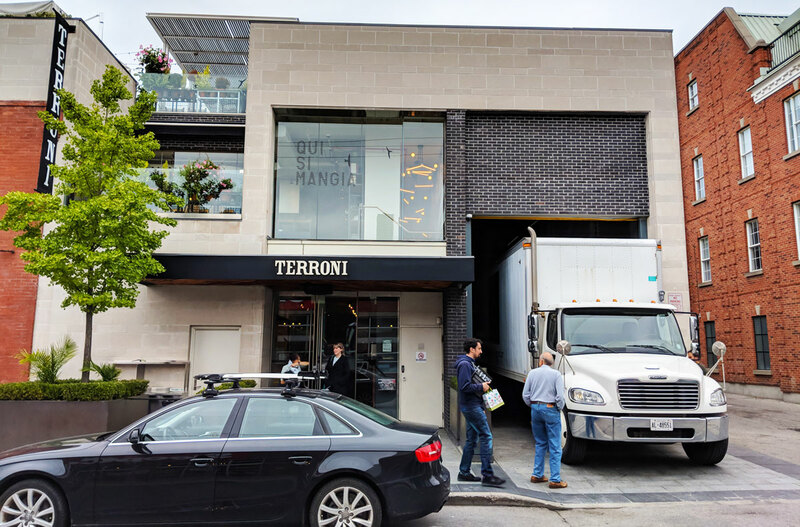 And fine — I understand that restaurant margins are dangerously thin, and that charging for bread is increasingly becoming a thing. 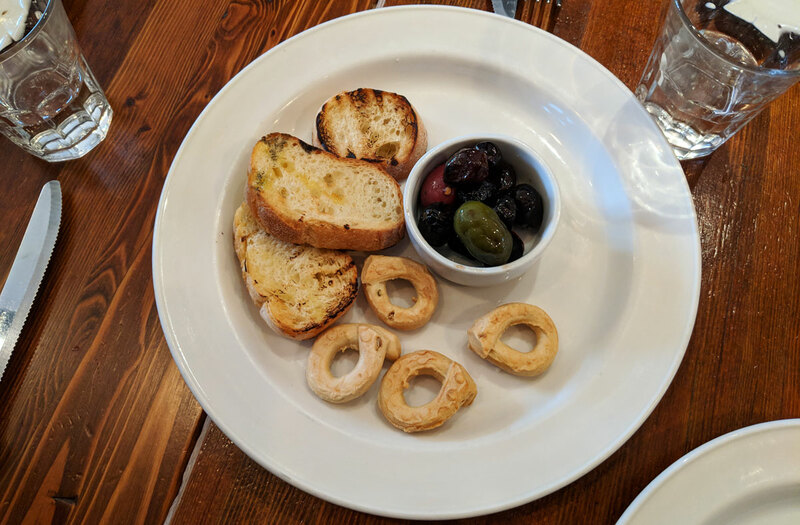 The issue is that the plate comes with three tiny, dried-out slices of over-toasted white bread with a few drops of olive oil sprinkled on, four pieces of taralli (which is essentially an Italian breadstick), a small handful of olives, and… that’s it. No butter, no olive oil, just mediocre bread and a few olives. For six bucks. Get the hell out of here with that. Thankfully, the rest of the meal was much better. A dish like this is a bit of a tightrope walk — the “sauce” is essentially oil, so it’s going to be somewhat greasy by default. But this one goes a bit too far, and feels oilier than it should be. 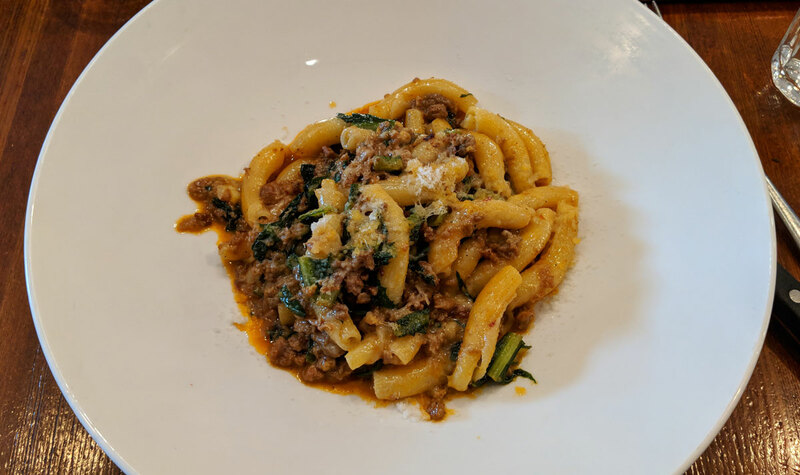 Still, it’s a tasty dish — the sausage is above average and has a mild spicy bite; the cheese adds a good amount of saltiness and a mild funk, not to mention some gooey meltiness; and the pasta itself is perfectly cooked and satisfying. It’s good stuff. 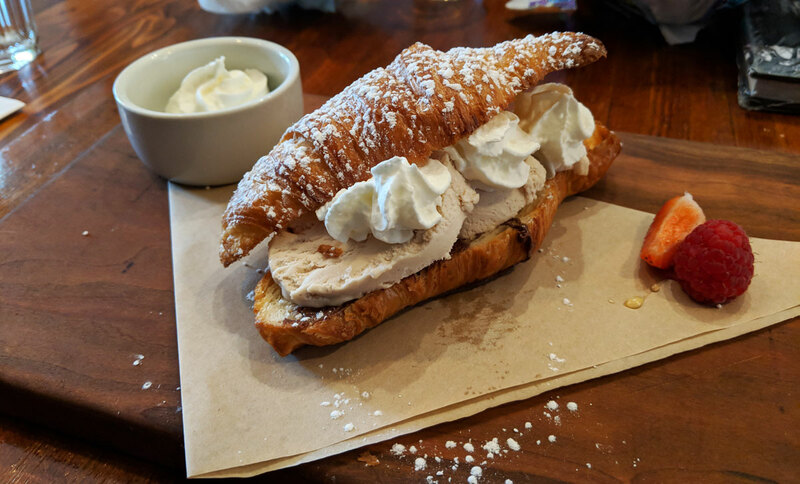 I can’t remember the name of the dessert and I can’t find it on the menu online, but it was essentially a croissant filled with Nutella, hazelnut gelato, and whipped cream. It was easily the highlight of the meal. It was shockingly delicious; the Nutella and the creamy gelato (which adds even more hazelnut flavour) go amazingly well together, and the tasty croissant is a perfect vehicle. Ice cream cones are officially dead to me — I want all my ice cream in a croissant from now on.